With the divine blessings of Satguru Mata Savinder Hardev Ji Maharaj, the Sant Nirankari Charitable Foundation organized a blood donation camp on 25th March, 2018 in Sant Nirankari Satsang Bhawan, Barnala in Punjab where 103 units of blood were donated by devotees of the Sant Nirankari Mission and others. They included 15 women devotees. 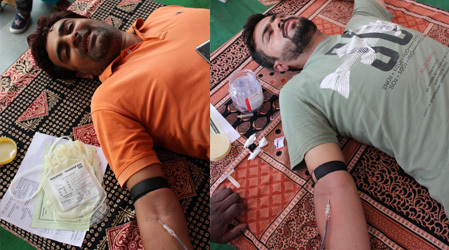 The camp was inaugurated by Dr. Jasvir Singh Aulakh SMO Barnala by donating his blood. 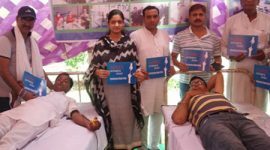 Shri Malkit Singh ASI Traffic also became one of the donors. Speaking on the occasion, Shri S.P. 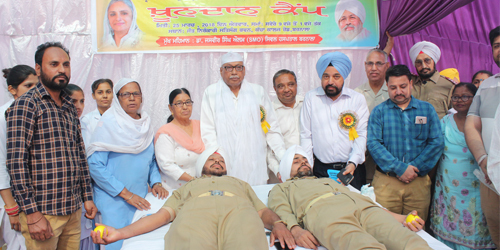 Duggal, Zonal Incharge Bathinda said, like in the past, Satguru Mata Ji is also preaching the oneness of mankind and inspiring devotees to come forward to contribute towards the welfare of humanity. 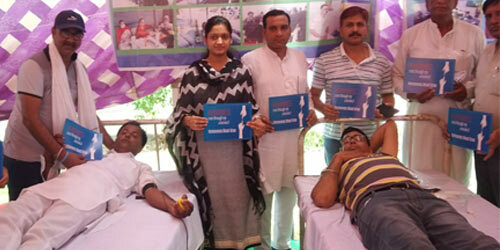 Shri J. K. Goyal, Sanyojak thanked all the donors and guests.